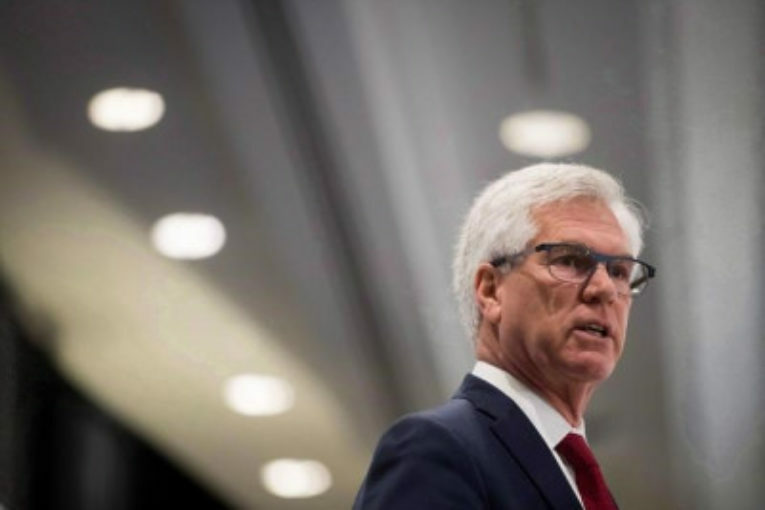 CALGARY — Natural Resources Minister Jim Carr says the federal government will step in when necessary to ensure the Trans Mountain expansion project gets built, but is giving few details on how it plans to do so. Carr, speaking in Calgary at the announcement of a new project assessment process, says Ottawa continues to talk with both the B.C. and Alberta governments as it looks to ensure the federally approved project gets built. Last week, the B.C. government created more uncertainty for the future of the $7.4-billion pipeline project to the West Coast by announcing plans for more consultations on oil spill readiness and a limit on increased diluted bitumen shipments until it’s confident in response measures. The Alberta government has taken a strong stance against B.C.’s proposal, suspending electricity talks and halting B.C. wine imports in protest. Alberta Premier Rachel Notley, as well as Kinder Morgan Canada Ltd. CEO Ian Anderson, have called on the federal government to ensure the project gets built. Carr says the federal government is alert to attempts to delay the project, but that so far B.C. has yet to take any action that requires a direct response.